Posted on 15, January 2019 by EuropaWire PR Editors | This entry was posted in Energy, Gas & Oil, Industrial, Infrastructure & Utilities, Netherlands, Sweden and tagged electricity, ENERGY, grid, Gunnar Groebler, Marco Kuijpers, offshorewind, sea grid, Tennet, transition, Vattenfall, wind farm. Bookmark the permalink. STOCKHOLM, 15-Jan-2019 — /EuropaWire/ — Grid operator TenneT and wind farm developer Vattenfall have signed agreements for the construction of an offshore grid connection for the Hollandse Kust Zuid I and II wind farms. The agreements concern the realisation of the connection and the transmission of electricity between the 700 MW wind farm of Vattenfall and the TenneT Hollandse Kust Zuid Alpha offshore platform. Hollandse Kust Zuid offshore grid comprises two transformer platforms at sea, each with a 700 megawatt capacity, two 220 kV alternating current cables per platform, a yet-to-be-constructed onshore substation and an expansion of the existing ‘De Maasvlakte’ onshore high voltage substation where wind power from the sea is connected to TenneT’s Randstad 380 kV Zuidring. The wind power will be supplied to electricity consumers across the country via the national high voltage grid. TenneT has been officially designated by the Dutch government as offshore grid operator. TenneT is realising grid connections at sea with a total capacity of at least 3,500 MW, in accordance with a standardised concept of 700 MW per grid connection. 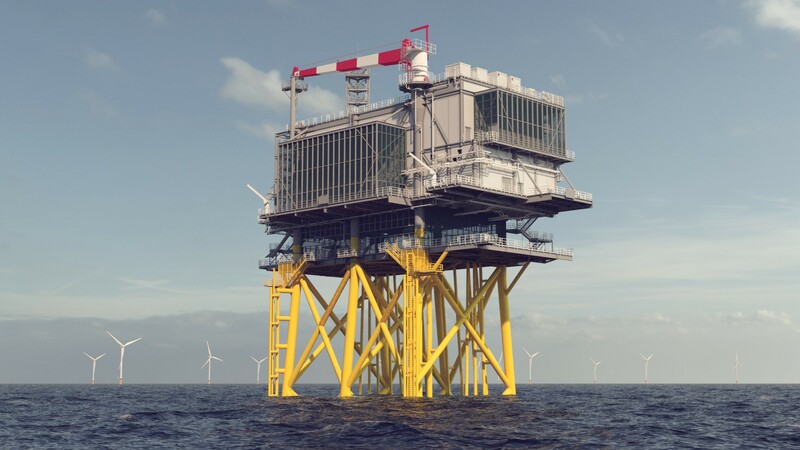 The two connections from the Hollandse Kust Zuid offshore grid, which have a joint capacity of 1,400 MW, will become operational a year apart, in 2021 and 2022, in accordance with the Energy Agreement. Vattenfall won this first subsidy free public tender issued by the Dutch government in March 2018.